The story behind XCOM 2 is much larger than the time it was actually in development at Firaxis Games. When we decided to take on the monumental task of developing an XCOM game, we knew that everything started in 1994 with Julian Gollop’s original, X-Com: UFO Defense. We were well aware and humbled by the impact of the classic game and its impact on the industry when we created XCOM: Enemy Unknown. All of the decisions that went into developing Enemy Unknown in turn impacted the development of XCOM 2. To look at how we created XCOM 2, we have to look at how we adapted UFO Defense. 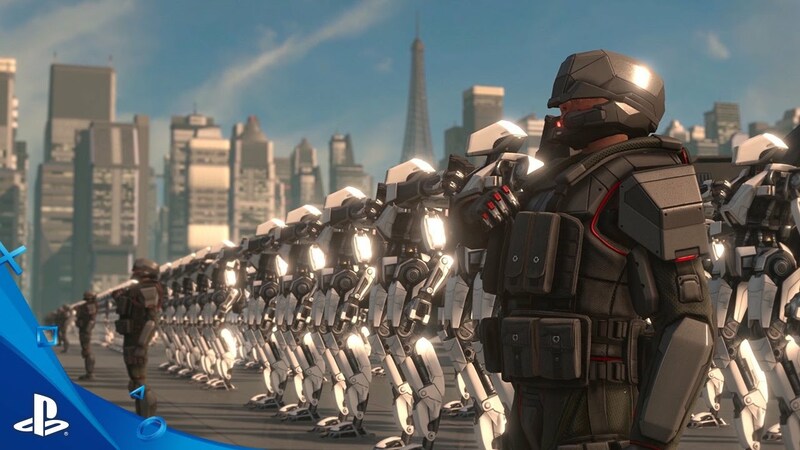 Taking on the XCOM series has been an exhilarating and wild ride from the beginning. To get it right, we needed to start with a leadership team that slept, ate, and breathed XCOM. Creative Director Jake Solomon’s passion for X-Com: UFO Defense is the reason why he’s in the industry and we knew that he would fight to the death to make sure that the XCOM game we created was faithful to the series legacy. To make sure everyone on the team felt the magic of the original, every developer sat down and played UFO Defense together. It was an extraordinarily fun time to be on the project, and was the beginning of this special team collaborating with each of their individual talents. 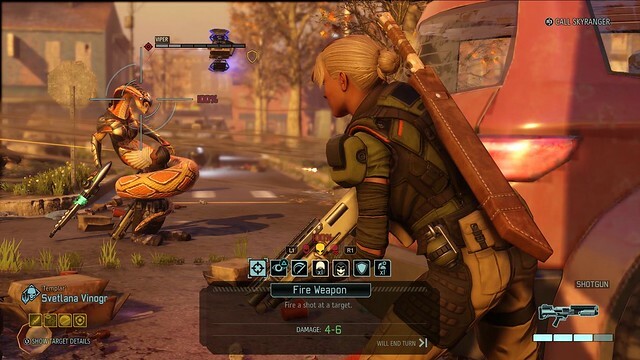 Concurrently, a small team and Art Director Greg Foertsch visualized how XCOM would uphold the spirit Jake was looking for with a modern presentation and sleek aesthetic. Mechanically, the challenge with Enemy Unknown was deciding how much to carry over from UFO Defense and how much to reinvent. We wanted to put our own stamp on the series, but we had an obligation to deliver a true XCOM experience. Earlier prototypes saw a more literal translation from the classic game to ours, but lacked the magic that pulled the experience together. It was at this point that the team started to focus more on the “feel” of XCOM. A player should be fighting an uphill battle throughout their campaign. This is a war where the odds are stacked against you, yet, somehow, you will prevail. 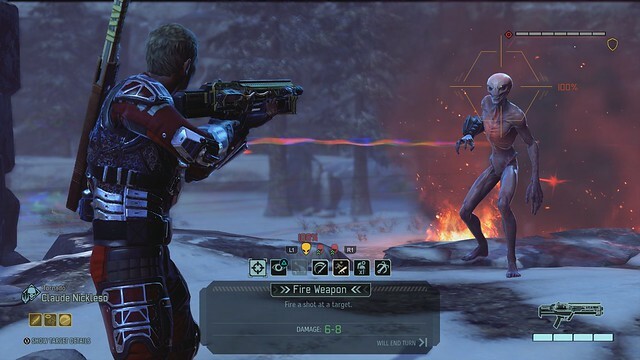 Once we figured out the core of the XCOM experience, we felt comfortable adding in new ideas and modernizing game mechanics from the original. We were floored by the response to Enemy Unknown and were even more excited to continue to develop the series. We felt we found a smart balance between the old and new for Enemy Unknown that fans enjoyed playing, but designing XCOM 2 had a whole different set of challenges. How do we reinvent a game that was a reinvention of a classic? We really liked the underdog element and wanted to push that further in the sequel. We also saw this as an opportunity to add gameplay elements like procedural generation back into the series. XCOM 2 couldn’t use the established canon of UFO Defense; we had to start fresh with new ideas to really make the franchise our own and create a true sequel. We found the idea of starting the story after losing the original game incredibly inspiring to build a new world upon. It was a fascinating challenge developing a fresh, but familiar world, polishing the tactical mechanics, and establishing a new open-ended strategy layer. We tried to push the intensity and visceral nature of the series in all aspects. One of my favorite ways we did this is with the aliens themselves. They embody the bolder direction of the sequel both narratively and artistically. XCOM 2 sees more terrifying versions of the alien roster whose DNA has been spliced together with humans. The aliens are stronger and smarter. We also shifted the gameplay from the defensive, reactionary style seen in Enemy Unknown to a more offensive one where players are choosing when and how to attack the enemy. Following XCOM: Enemy Unknown and Enemy Within on the PS3, the team is now ecstatic to continue the franchise on PS4 with XCOM 2, launching this week worldwide. We owe the continuation of the franchise to our dedicated Commanders in the community, and we hope that you’ll join the fray and dive into this world lovingly crafted with strategic depth, adrenaline-pumping moments in combat, and an epic campaign to take back our planet from unwelcome overseers. If you’re unfamiliar with the massive feature list, please hop on over to the official XCOM site to learn more about the game world, and Season Pass content that will be available to extend the XCOM world further. With the XCOM franchise, we pride ourselves in offering something unexpected. We want you to be surprised. We want you to feel challenged (but also the thrill of victory when you do outsmart the aliens). We want to give you a memory that will stick with you for a while. On behalf of the XCOM team, good luck. is this going to have mod support? jk right now sony is like the republican party lol. Trying to protect our god given rights? Which one is Sony? Its hard to understand your metaphors without more info. Thank you so much for bringing this over to the PS4! I can’t wait to download it and keep playing. Thank you for playing! We’re beyond excited that you can play on PS4. I played some at midnight, and it’s great so far. I do hope some of the load times and performance can be improved a little, but I appreciate it coming to consoles. We’re continuing to look at items that we can optimize- hope you enjoyed your late night play session! Is the game going to get an “Enemy Within” type of upgrade? + desert-punk-86 Wow, a mod slam and political slam at the same time and the game hasn’t even been out a day. Since you weren’t kind or constructive, Ill balance it out by being considerate and I wont ask if MS troll’s get paid well? There is more to the Fallout mod issue, the game sites know this but since when have they ever been forthcoming with information that does Sony a plus. couldn’t play xcom enemy unknow due to lag on ps3. But, hope to enjoy this one. Digging it so far, loved Enemy Unknown on PS3. Wish the DLC had been tossed in since console players got the game 6 months later than PC, but in all honestly I am just glad I get to play the game. Does one need to have played and completed X-Com Enemy Unknown to play and optimally enjoy this new one? I mean do the save files carry over or is the story-interconnected in any meaningful way that wouldn’t be covered within the intro / progression of this 2nd game? played the original one one the original playstation… loved it so much i continued playing it on the ps2! i’ll get this but i’m waiting for a sale. the price and the dlc, etc just makes it too expensive for a niche, older (pc version came out first) game for me personally. I have over 300 hours of EU/EW and loved X-COM 2. I only hope you guys manage discussions with SONY to allow for mods on the PS4. Long War, and other trinkets, really add longevity to the series. I’m really excited about this. I did have some difficulties on the PS3 with the enemy unknown version. I’m looking forward to the game play and graphics on the PS4. I will say, from the clip, it has a look of ME 1,2, & 3 but I thoroughly enjoyed that game. I’m looking forward to experiencing the differences of this game.